(Sheep and Lambs - Slaughter - 02) This sheep is being carried into a store to be slaughtered as part of a dedication ceremony. 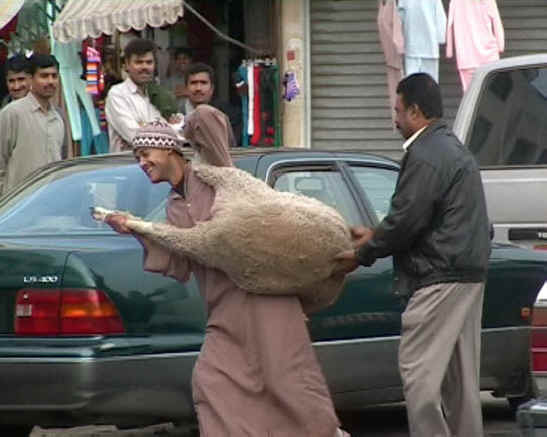 What bothers us most about this photo is the seeming joy on the face of the man carrying the sheep. 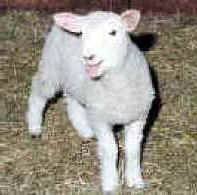 There is absolutely no concern for the welfare of the animals.